Your innards cannae take much more after a few bottles of this, Captain! Oh, come on. Like you wouldn’t make that joke, if given the opportunity. The frankly bizarre trend of Star Trek tie-in liquor—which already gave us Guinan-inspired vodka—continues with the most logical continuation a line of Trek booze could have, perhaps outside of some sort of Klingon blood wine stand-in. 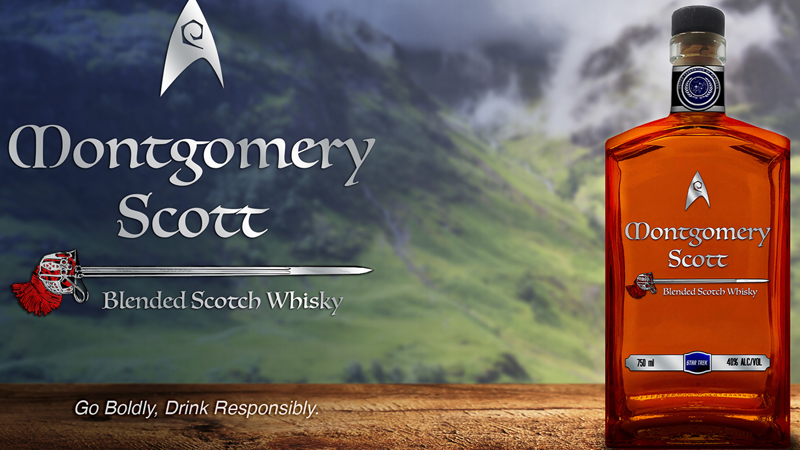 The official Star Trek website has revealed that the third drink in Silver Screen Bottling’s line of Trek-themed drinks is a blended Scotch whisky, inspired by everyone’s favorite outer space Scotsman, Montgomery “Scotty” Scott. You see what they did there, with like, the Scotch and everything, yes? It’s perhaps about as obvious a direction this line could go—appropriate, too, given that Scotty himself loved a wee dram every now and then when he wasn’t yelling about the Enterprise’s engines and their capacity to take much more of...well, anything. The whisky, made in Glasgow—odd, given Scotty described his youth as an “Aberdeen pub-crawler” once, but beggars can’t be choosers when it comes to licensed alcohol, I guess—will be available for $50 a pop in the spring of next year. If you’re excited about the prospect of preordering spirits, though, you can head on over to the official website and do so.